<Are cities the next big thing or just a fad? 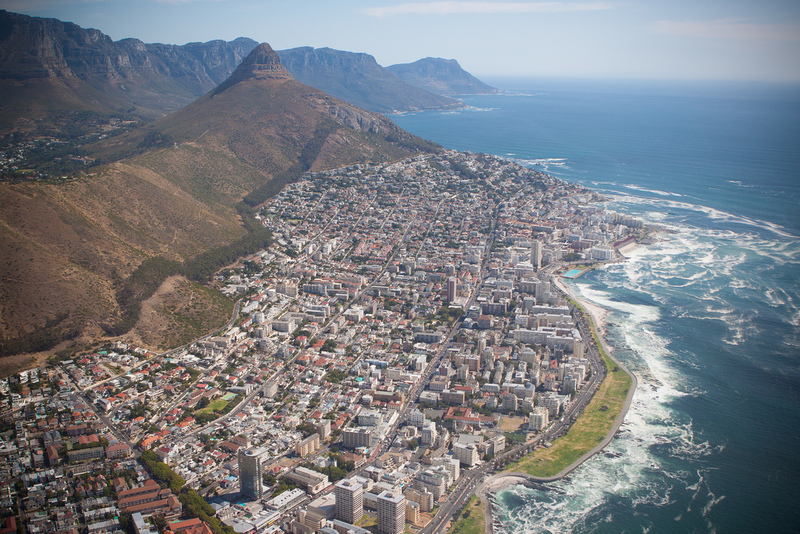 Sea Point: can the reallest Atlantic suburb hold its own against gentrification? Sea Point is a damn good place to live if you’re barely making it, in middle-class terms. Rent may be slightly higher than in comparable suburbs further from the sea – Vredehoek, Newlands – but the suburb provides for free and in abundance what a gym membership and lots of driving provide for other Capetonians. 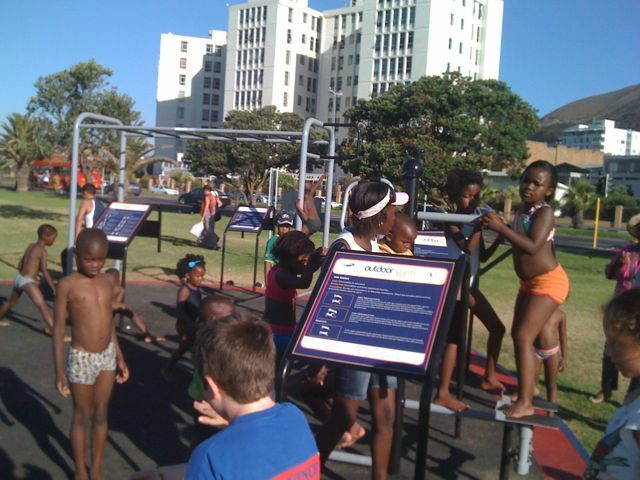 The Promenade, perhaps Cape Town’s greatest public space, is heavily visited by poor and working-class families; its outdoor gym – lauded by social justice group Groundup as a premier example of decent health infrastructure delivered for free and at all hours. There is ample space for children to play as well as many quieter pocket parks where children doing homework outdoors can be seen; this takes the edge off small flats accommodating more people than they were designed for. Above all, Sea Point’s Main Road is a robust mix of good value shops where astute working-class shoppers can stretch a budget, and a growing (but far from dominant) presence of determinedly elite shops and restaurants. The two coexist on every block. The fact that Sea Point’s transport links to the job opportunities of the city are rapid and cheap (R7 gets you to town in under 10 minutes; minibus taxis run about every 30 seconds at peak times) ‘stretches’ the rent; it is well known that poor and working-class families living in peripheral Cape Town formal suburbs and townships spend an enormous portion of their income on travel. In some Cape Town surveys, this has approached 30% of income; it is seldom under 20% for people living on the Flats. Combined with the linearity of the Promenade, meaning that everyone is only a few blocks from fresh sea air and space to play and relax, the transport factor means that Sea Point’s relatively high rents are stretched by a quarter or a third in terms of what that rent really buys. This is why Sea Point, the gritty princess, is the only central Cape Town surburb in which the poor and the working class have a visible residential presence (the substantial homeless population, and how to serve it, is another day’s post). This also means that Sea Point is among the only Cape Town suburbs where what we might to call ‘workers’ (poor and working-class staff earning a minimum salary, as opposed to middle-class ’employees’) can reach their place of work in minutes, not hours, greatly increasing the quality of the contribution they can play as parents, spouses and community members. Poor and working class people live in higher-rise apartment blocks and Victorian row housing tucked away here and there through Sea Point; they bargain-hunt at the large supermarkets that have not yet gone upscale, or – far more often – they commute to working-class areas at the weekend to buy staples in bulk at far more competitive prices. Sea Point has never been a paradise for poor and working class people, but it has stretched their wages by providing decent infrastructure – open space, recreation, transport, jobs and decent schools. Yet this presence is under threat, driven by real estate forces that no middle-class person notices except to praise rising house values. The continued recovery of South Africa’s housing market means that the Victorian tenements are under immediate threat of redevelopment, now that sea-view apartments are rising beyond affordability for even moderatly well-off South Africans families; not long after, developers will come for the 70s apartment blocks on the Mountain side of Sea Point Main Road – the ones where caretakers turn a blind eye to overcrowding, out of working class solidarity or in exchange for cash. The luck of the suburb’s geography for working-class families had always been that the two prestige locations – high enough up the Mountain for a view, or close enough to the sea for a view – are wide enough apart that a few people can subsist in the blocks between without being outbid; in Clifton, for example, the two prestige strips make up the entire suburb. Poor and working-class families here have established a toehold, but a real one, and their presence is a foretaste of what a socially sustainable Cape Town might actually look like. As Abahlali baseMjondolo tried to show in 2007, the steady ejection of such families through gentrification means uprooting people who have put down decade-old roots here, whose children attend local schools and who depend on social networks in the suburb. The eviction of the Conifer Court renters reported by Abahlali baseMjondolo at that time was the reverse of the kind of process that could give Sea Point its surest lease on life: the steady provision of affordable public housing to poor and working-class families in a place that is minutes and metres from work, not hours and tens of kilometres. We know that gentrification is a process that is too large and too complex for the state or concerned individuals to fight; I doubt that any but the broadest-based social justice movements could hope to tackle it, and I am not sure that they should. That is, Sea Point may be slowly gentrifying – although, as Woodstock has shown, the spread of a spine of middle-class consumption and a few emblematic oases does not necessarily a mean the loss, or even the full gentrification, of a suburb. But ‘gentrification’ is a very various term; it could mean ‘the slow conversion of a living community into a posh bedroom suburb’, it could also mean ‘the banishment of evidence of working-class life from major through-routes’. We could also make it mean ‘the extension and diversification of economic activity on major through-routes that cross-subsidises the extension of affordable housing in other, nearby parts of the neighbourhood’. Developers must be made to provide a percentage of affordable housing in their projects or pay an equivalent sum into each ward’s public housing budget. Holiday houses that stand empty for ten months of the year have no place in a central part of a vibrant, growing, pro-poor city. There must be an innovative and transparent tax or administrative measure that could fill these places up with off-season renters. Sea Point’s schools are full of local working-class children. The wealth quintile of the school, which I believe is one of the systems the WCED uses to monitor schools, should inform the provision of public housing in the area. Releasing more land or allowing more bulk or greater height for high-income housing would, if demand for Cape Town coastal property is assumed to be steady (given our parlous political climate this decade), reduce pressure on affordable backstreets where the poor and the working class are still able to live. The point is that while no one who has the resources to distort the market and halt gentrification should spend those resources in such a self-defeating way, all of us have a duty to make gentrification a workhorse for the betterment of communities at minimum harm. Gentrification can be a way of making developers pay for public infrastructure and public housing while safeguarding valuable working-class neighbourhoods as much as possible. Considering that Sea Point has been one of the most expensive suburbs by R/m2 in Cape Town for years, if not decades, I don’t think it can be considered ‘gentrifying’. It’s gentrified. I think you have missed the point of the article. Gentrification (or Urban renewal) is what has saved the CBD and has clean up the greater Green Point / Sea Point Area. Increasing property prices is what has drawn in developers into the area, that have helped improve infrastructure. The increased property values have thus increased the rates and taxes and in turned helped improve the promenade, green point park and over-all cosmopolitan feel of the area. 15 years ago it wasn’t safe for a woman to walk on the promenade alone, a couple to walk to a restaurant for dinner, a small business owner wouldn’t open a shop on the main road, and one would be offered drugs or run the risk of being robbed at every intersection. I have personally bought a place in this area that was unfit for the 10 people living in one of these small 2 bedroom apartments, “the ones where caretakers turn a blind eye to overcrowding, out of working class solidarity or in exchange for cash”. To think that we should nurture such places is ridiculous. Clean them up, manage number of people per dwelling and push the rents up. Get more taxes in and help the the greater Cape Town Area. The local government could do with the funds to build schools, parks and other such amenities in poorer areas. I’m sure Grassy Park could do with a Green Point style park. On a further note, the holiday home owners, pay their rates and taxes, add to the economic growth and hardly impact the services and infrastructure. To tax them over above their high bracket is unfair (if one can afford +R2 million holiday home, they are paying more than enough). Remember there are no tax breaks on second home and Capital Gains is already pushing money into the tax system. I do think the cost of transport from poor areas in relation to income is ridiculous, and there should be a higher contribution to help subsidies a workers transport. This should rather be aided by the bushiness sector, in a form of tax-break. I know from experience in the UK, companies help pay yearly transport cards for workers. The facts are, living costs go up, real life inflation is higher than the government issued inflation and gentrification will always happen when a city is moving forward. I’d hate to be a poor person in your ideal world. Pushing poor people to the edge of the City is moving backwards. Excellent article. Maboneng (http://www.mabonengprecinct.com/) in JHB seems to be a good eg of gentrification done well. I live opp the Sea Point library and truly appreciate the diversity of the area allowing people (of varying classes) to live comfortably side by side. Gentrification in CT seems to serve niche retail and upper-class citizens/property investors well but it is not needed in Sea Point. Other areas need more amenities and attention as Guy below states. Parks, green belts, a better and more organised railway system and improved, efficient police stations need to be addressed rather than lining the pockets of the wealthy under the guise of “tidying up” the neighbourhood. That being said, I love Sea Point and until this moment did not realise how lucky I am to live there. The community is great (Promenade Mondays anyone? ), your money does indeed go far and the folks at Sea Point police station are the nicest and most efficient I have encountered in Cape Town. I agree with the central argument of this article.